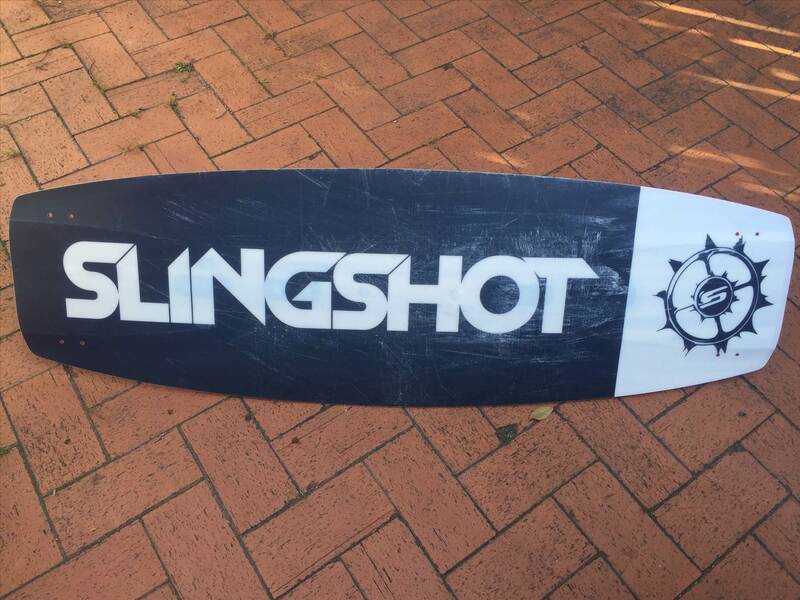 Anyone ridden a slingshot refraction either year on cable? Was thinking of taking mine out next week and wondered how they went doing water tricks and on the features. Most kiteboards I've ridden on cable have been pretty average so am interested if anyone's tried it. I am interested in this too. I am thinking of getting one that I would use for both cable and normal kiting. Do you use yours with boots for kiting? Okay so updates, have ridden the board twice at the cable park and the base seems to be holding up pretty well. I waxed it a little bit because it was a hot day and some of the rails were drying off a bit, but its taken 4 hours of rail riding and only has the regular scuff marks on the bottom that you'd expect. Will it last the distance? i'd say yes but we will see in a few months. As far as the how the board actually rides, it has the happy medium of rocker, enough to work behind a kite happily but i never found myself getting pulled out around the corners. Water tricks were pretty good, the board is pretty stiff for a cable board these days, so it pops really well off the flat and you get good height. Downside is it doesn't press as well as the Terrain because of the moderate rockerline and the stiff tips, but i guess thats the trade off. Overall id say this is probably the best crossover board i've ridden, with the tona flow coming second and an older north gambler and tona pop tying for third place. Yeah man riding it with a set of KTVs, just been taking the fins on and off to swap between. I have no idea how the weird inverted channel thing works, but its actually pretty grippy with or without fins, id say if you're riding in any chop kiting to keep the fins in there though.